Pen and Paper: CARVED IN BONE. The corpse of a woman dead is found in a remote cave deep in The Appalachian Mountains,, the body has been near-perfectly preserved by the cave's unusual chemistry. Dr. Bill Brockton founder of the University of Tennessee's Anthropology Facility, a.k.a the Body Farm is called in to investigate the circumstances of the mummified corpse's death. What Brockton uncovers is a secret with its roots buried deep in the past of the remote mountain community, placing him at the centre of a decade's old feud, and possibly its next victim. I picked up the hunting knife with my left hand and tested its heft, then shifted it to my right hand to compare. The room erupted in groans. I checked the seating chart. 'Do your reading, Mr Murdoch!' I thundered. 'In physical anthropology, "Mongoloid" refers to peoples of Mongolian descent - Asians and Native Americans.' He slumped in his seat. SOURCE ... Borrowed from a friend, thanks Ruth. MY THOUGHTS ... Having read and been informed by readers of these books that, book 7, The Bones Of Avignon (published in the US as The Inquisitor's Key) wasn't the best book in this, the Body Farm series, I decided to read this, the first book, in the hope I'd enjoy it more. A bit of an odd read in so much as it didn't feel like the first in a series, there was so much back story; things that I would have liked to know more about; things that though alluded to were never really gone into. Fascinated by the whole concept of the Body Farm, once again I was left a bit disappointed by how little of this there is in the book. Call me cynical but it feels as if the author is vicariously relying on the reputation of something that isn't in fact actually represented here . A tad too much inconsequential waffle - to say nothing of the 'odd' tangents the plot went off on OR the multitude of oddly placed tertiary characters - that clouded the issues. The female characters, of whom there were only a handful, I thought weak. Perhaps better represented in future books (though I remember they were one of the issues I had with The Bones Of Avignon so perhaps not) but, as it was, I thought them so poorly written it was woeful. Most of all though, there was Dr Bill Brockton himself (not to be confused with Dr Bass, the real life founder of the Body Farm and one half of the team behind the books, who I'm sure is a decent human being). What is so appealing about this type of character (along with Dr Brockton, I'm thinking Robert Langdon of The Da Vinci Code books amongst others)? Characters that, in the case of Dr Brockton; tragically widowed with an estranged son, have been (excuse the pun) done to death? Characters that, in general, in powers in position; emotionally damaged; seemingly irresistible to much younger women, we see featured again and again? Not a series I can see myself investing in any further. I had thought about reconsidering my rating but, rich in forensics (its definitely not one for the squeamish but then the more gory the forensics the better as far as I'm concerned), all things considered, worthy of its three stars. I appreciate the honest review. I'm one of the squeamish and the cover alone makes it one I probably wouldn't want to read. Thank you for your honest analysis of this book. It sounds interesting in a forensic sense. Greetings Tracy. It sounded good, but your dislike for it has put me off reading it. Thanks for the review. Blessings to you. Love love, Andrew. It's a real shame that you couldn't connect with this story or series, but then that's the whole idea of sharing your thoughts in such an honest and constructive way. I was oddly intrigued by the premises of all the books in the series, although there was something niggling away in the back of my mind. I came back to this post after dinner and knew straight away where I had come across the 'Body Farm' before. Now I am completely confused and unsure whether to add the books to my list, or not! It sounds as if there are a lot of cliches in this book. 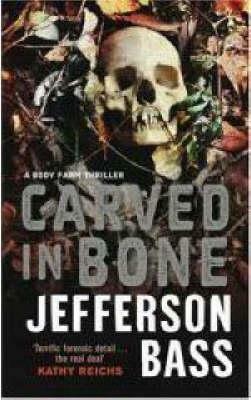 I think that the concept of The Body farm can translate well into fiction. However, once a series gets to seven books, sometimes an author starts to run out of ideas. I read this book years ago, and honestly don't remember much about it. I do know I decided not to continue with the series.